FRANKFURT -- Volkswagen Group is a step closer to finding a hardware fix for 1.6-liter diesel engines with software that can cheat official tests measuring harmful NOx emissions. VW has delivered an update on its technical solution for about 540,000 VW Group cars in Germany with the affected 1.6-liter engines, a spokesman for the country's Federal Motor Transportation Authority (KBA) said on Tuesday. The KBA is now examining the solution, which was presented by the automaker to transport ministry officials at VW's headquarters in Wolfsburg on Monday, the spokesman said. He could not say when the evaluation will be completed. VW has said up to 11 million of its EA 189 diesel engines sold worldwide by its VW, Audi, Skoda, Seat brands may be affected by software manipulation. The engines sizes range from 1.2-liters to 2.0-liters. In Europe, VW plans to recall 8.5 million vehicles equipped with the engines to make them compliant with type approval regulations. While most versions of the EA 189 family may need only a software update, the 1.6-liter units will likely need a more costly upgrade involving hardware and software fixes. Volkswagen CEO Matthias Mueller has indicated that certain parts such as the engine’s injection nozzle would need to be replaced and a larger catalytic converter installed. As a result it may take until September of next year before parts manufacturers can supply the necessary components to VW. The KBA’s findings are expected to play a key role since other EU member states are likely to insist on a similar solution for VW cars affected by the scandal in their countries. VW will probably need to exchange or rebuild parts for about 3.6 million engines in Europe, German Transport Minister Alexander Dobrindt said on Oct. 15. A VW spokesman said the automaker expects to have issues relating to the recall of cars with EA 189 engines clarified by the end of the month or middle of December at the latest. He said VW has developed a fix for all the engine family's displacements except the 1.2-liter version, which should come soon and will amount to a software fix. VW's emissions scandal has widened beyond cheating NOx tests after the automaker said last week that it has understated CO2 emissions, and therefore fuel economy, in up to 800,000 vehicles. 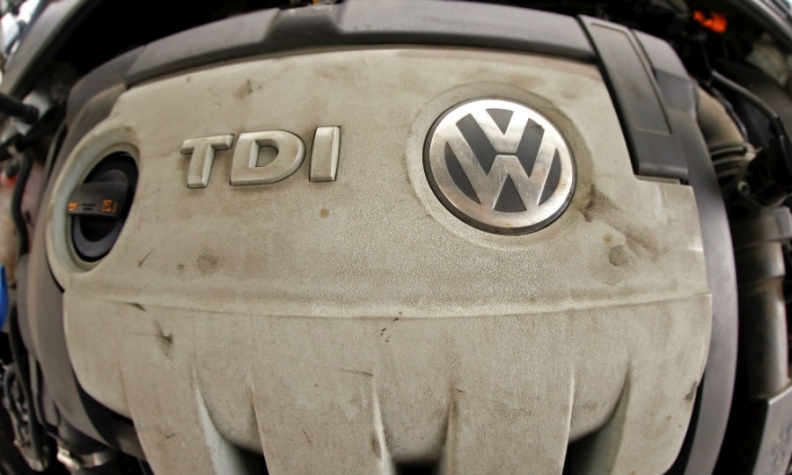 The VW emissions scandal erupted in September when the U.S. Environmental Protection Agency said the automaker had installed "defeat" software to cheat NOx emissions tests. VW admitted the deception and said it may involve up to 11 million vehicles sold worldwide. "The bigger problem lies in the U.S. where potential legal fines and class action lawsuits are hard to quantify," Evercore ISI analyst Arndt Ellinghorst wrote today in a research note to clients. VW and Audi executives will meet with U.S. environmental regulators this week, ahead of a Nov. 20 California deadline to submit a plan to fix nearly 500,000 diesel cars in the U.S. that violate pollution emission rules, Reuters reported on Monday.